Entry number two in this fascinating series continues the struggle known as The English Civil War. At least that’s the major backdrop to the tale. 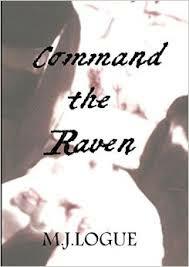 What the author has crafted is a tale of relationships, not just the evolving respect between Hollie and Luce, but also Hollie’s relationships with Het, Elijah(Hollie’s father) and Oliver Cromwell. Holly will always be a cantankerous cuss but there are other sides to him that show signs of shedding the hardened shell he wears. The story rolls seamlessly through the historical events and you get the sense of being there in the cold, the mud and the heat, all mostly experienced in the idle boredom inherent in a sporadically fought war. Though it may have been boring for the characters, it was during those times that the verbal by play and introspection shine through the narrative. After some harrowing and dangerous assignments, Cassius Corbulo is looking forward to a seemingly less life threatening job that will utilize his growing investigative skills. So, along with his imposing bodyguard Indavara and his Christian slave Simo, Corbulo heads to the town of Berytus to uncover a counterfeiting ring. Seemingly is the operative word in the opening sentence as the situation in this small peaceful town is hardly that. Civil unrest, dangerous counterfeiters and a mysterious group of perceived assassins who have followed our trio make for some exciting action while Corbulo meets dead end after dead end looking for the counterfeiting gang. The most intriguing aspects of this the 5th volume in the Agent of Rome series is the continual growth of the the three main characters, especially of Simo and Indavara. Simo’s ever growing faith puts him at loggerheads with Corbulo on numerous occasions. Indavara gets more interesting with every book and I was hooked on him with his arena scenes early on. Going from a context void of a past, he has come a long way and is a more complex individual than just a skilled killer. What better way to recover from an awful ordeal than to spend some time away from Rome with friends at your country villa? Sounds like a lovely time, a time to recoup your energy, your edge, your humanity….indeed that is what the plan is for Carbo and his friends and loved ones. Ahhh…but if only the gods and fate would allow such a peaceful enterprise, unfortunately for Carbo they do not. The author has provided for our entertainment one of the more exciting, tense filled dramas I have read in a while as he chronicles the extreme range of emotion and human tragedy one man can possibly care to endure. In order to avoid giving away too much of the plot let me just summarize briefly….a vicious, masked, bandit duo is on the rampage along the road leading to Carbo’s country villa…these bandits aren’t interested in the robbery of goods but are interested in capturing certain types of people for, let’s say, nefarious purposes. Carbo and gang encounter them on the way to the villa, barely surviving the attack. they run them off but in so doing are now targets for this revenge seeking gang and revenge is dealt out in thrilling detail and result. Carbo must survive the most inhumane of circumstances if he is ever going to find the peace he is striving for. 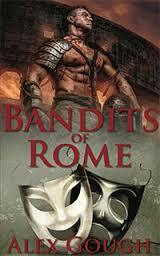 A wonderful tale of gripping action and torn emotions…the best and worst of human thought and deeds. 5 stars and a hearty Hoover Book Reviews recommendation. In this episode of the Marius Mules saga we find both Caesar and Fronto looking forward to the future. For Caesar, a pacified Gaul has him preparing for his return to Rome and a Consulship. For Fronto, it is trying to make a go as a wine merchant in a somewhat hostile business environment but at least it is not one requiring one’s skill with a gladius . This is what both men desire, peace, so as to get on with the next phase of their lives and careers. Ahh, but peace is an ever elusive and tricky beast and once again, Caesar has revolts and plots to put down and Fronto finds himself not only in a business turf war but also in a scheme by a band a fanatic Gauls whose plan is to release Vercingetorix from his Roman captors. 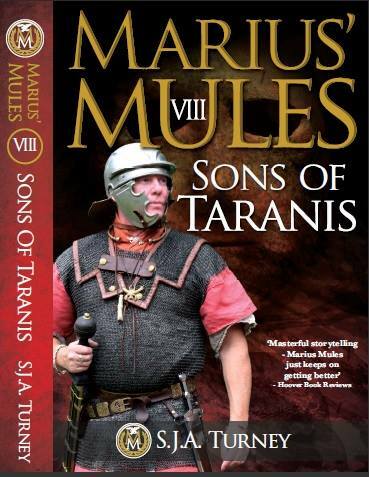 As per usual with Mr. Turney, the story is written with the intent to further flesh out the main characters in this saga, so we are given more insights into the minds and actions of men like Varus, Decimus Brutus, the Gaulish noble Caravinos and of course our congenial host in Masillia, Fronto. Of action, there is plenty, from the scattered pockets of revolt in Gaul, to the streets of Masillia to the…well I’ll not say where as that might be a spoiler. The plots/story lines are seamlessly woven together and are marked with the occasional twists that make things more interesting. Depraved, deluded and plainly not playing with a full deck, Nero ruled the world mostly through his imperial staff. It is the staff that the author focuses on in this, the first part of the Year of Four Emperors. Her characters include Nero’s personal secretary, the two Praetorian Prefects, the lowly messengers, the slaves and freedmen who made life possible in the palace complex. It is through their eyes and actions that we witness the downfall and overthrow of Nero. 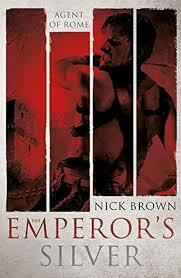 The author has given us an entertaining read full of drama and emotion and characters that are well written and who run the gamut from the lovable(Artemina) to the despicable(Sabinus); from the ostentatious, larger than life(Nero, Sporos) to the lowly slaves dwelling in the clutches of overseers and power hungry freedmen. The dialogue is crisp and quite witty, if just a tad modern at times and yet that did not dampen my enjoyment. Indeed I am looking forward to reading more of this series. 4 stars. Returning to the UK somewhat battered and certainly very bruised she spent several years working as a tour guide. A perfect introduction to writing, involving as it did, the need for entertainment and a hefty amount of invention (it’s how she got tips). 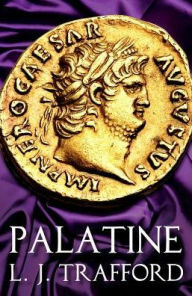 Palatine is the first in the Four Emperors series. 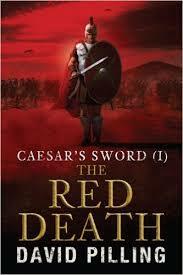 Book Two is Galba’s Men, to be followed by Otho’s Regret and Vitellius’ Feast. My experience with the Arthur story is somewhat limited. Years ago I read and really enjoyed the Mary Stewart books and was subjected to the musical Camelot a few times as it was the wife’s favorite movie. 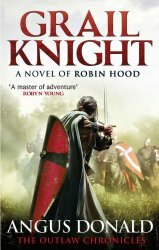 When I was introduced to David Pilling’s work I was interested in his book Soldier of Fortune, The Wolf Cub but when I saw that this one was about the grandson of Arthur and the sword carried by Arthur and Julius Caesar, I put aside my original intention and decided to read this series first. The author chose the more Welsh version of the Arthurian legend and so his grandson, Coel, is the son of Amhar, the son who rebelled against Arthur and was slain by his father in battle. After Arthur is slain, Britain becomes unsafe for Coel and his mother so they make their way, first to Frankia and then Constantinople in search for a better life, a type of existence that is elusive to say the least. The story centers around Coel’s early life, how he struggles to survive as he pursues the sword that is his birthright, a sword that has become an intricate part of his being and has taken hold of his soul. The author has given us a tale that is at once riveting and that gives a glimpse into the era under Justinian and his famous general, Belisarius as well as a not so flattering a picture of Theodora, the Empress. This is indeed a strength of the author as he enables his characters to shine in all their glory or in their lack of humanity or somewhere in between. The story plays out well, with enough plot twists and variety of actions and scenes along with a nice flair for descriptive narrative. I was entranced from the beginning and will be sure to follow along Coel’s story in the next book in the series, Siege of Rome. 5 stars.